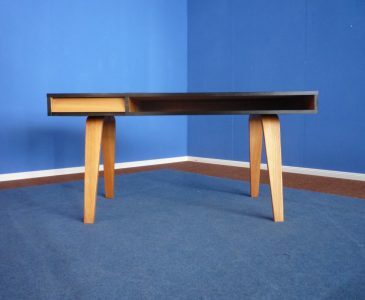 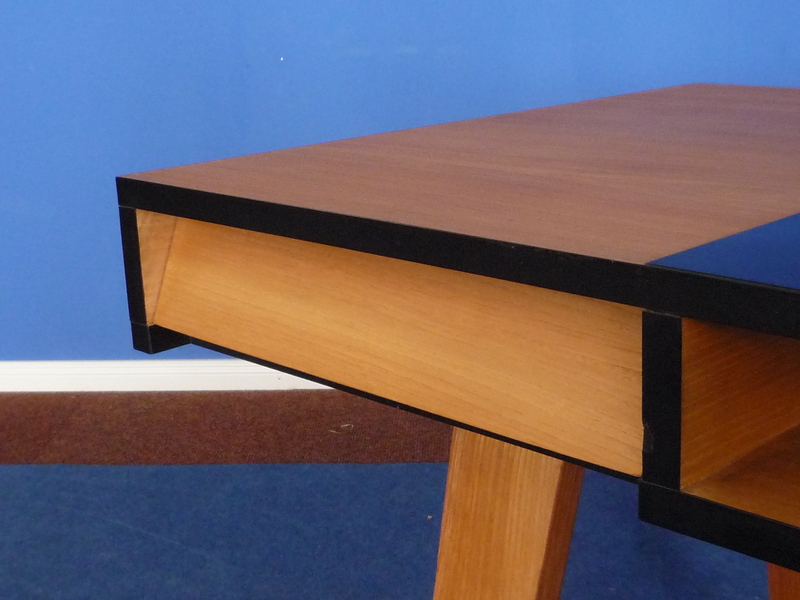 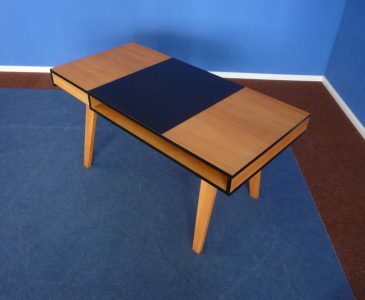 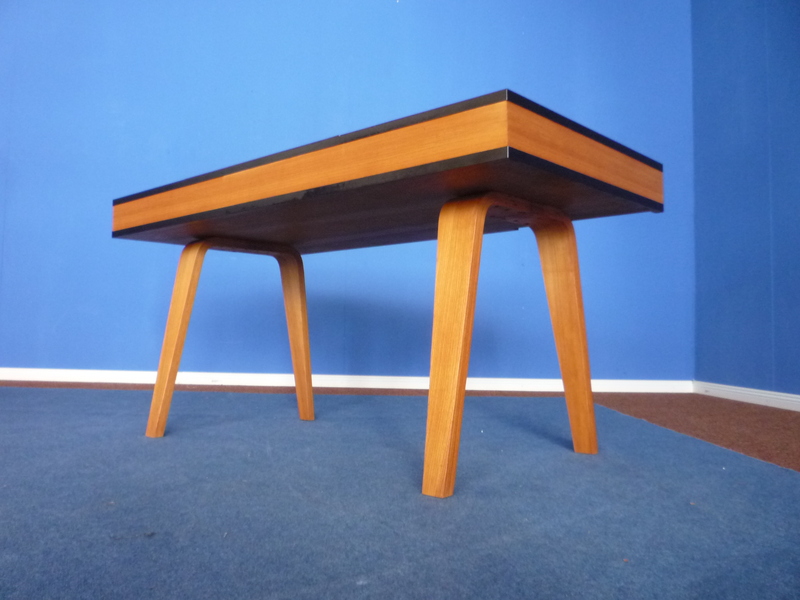 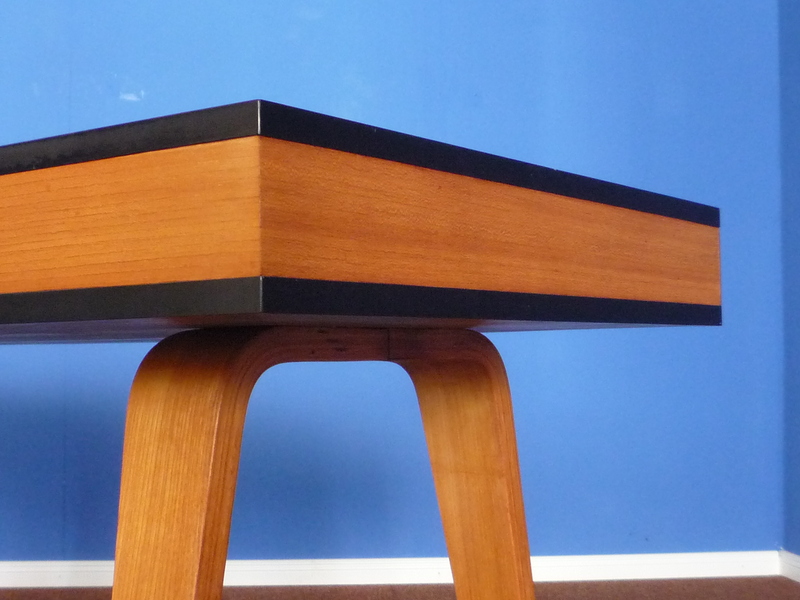 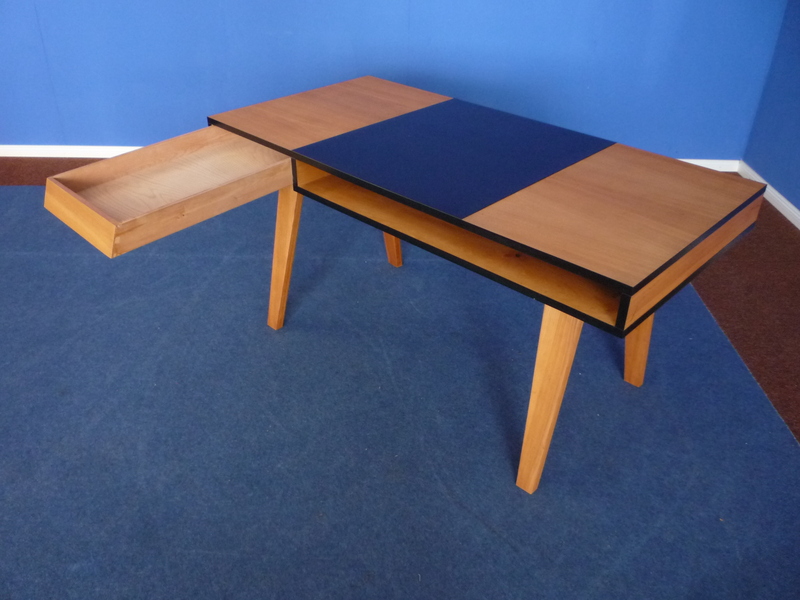 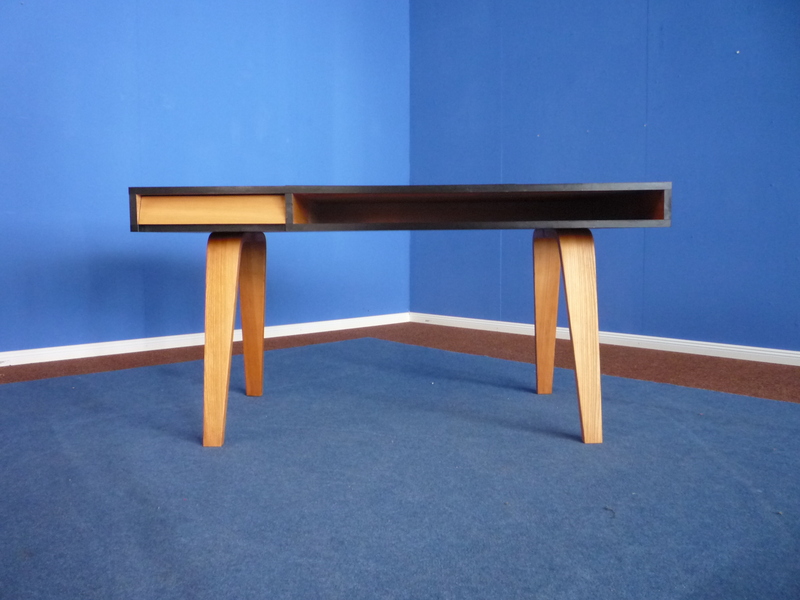 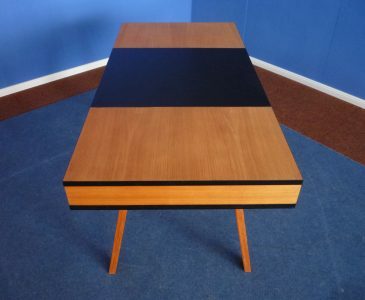 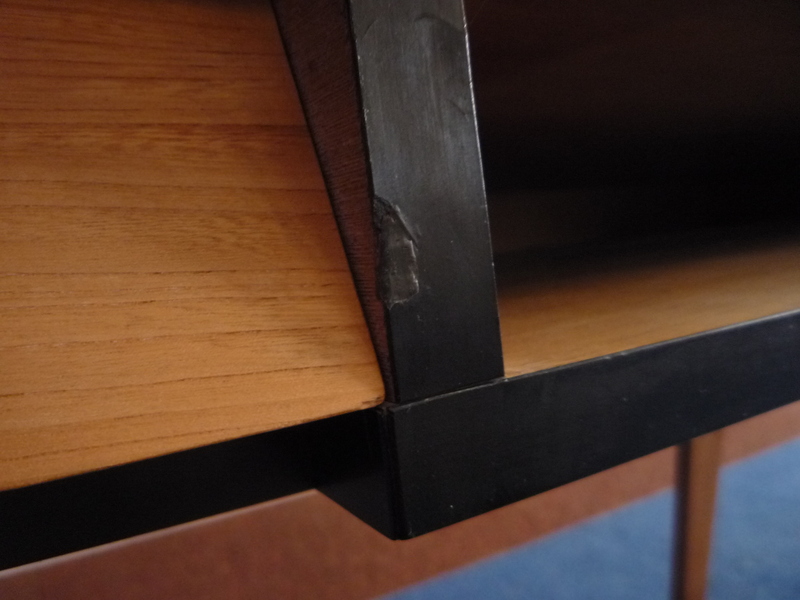 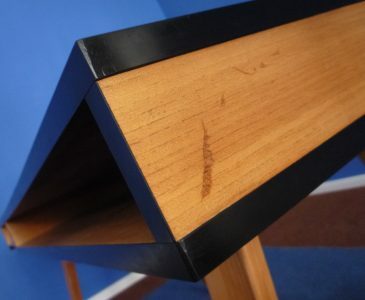 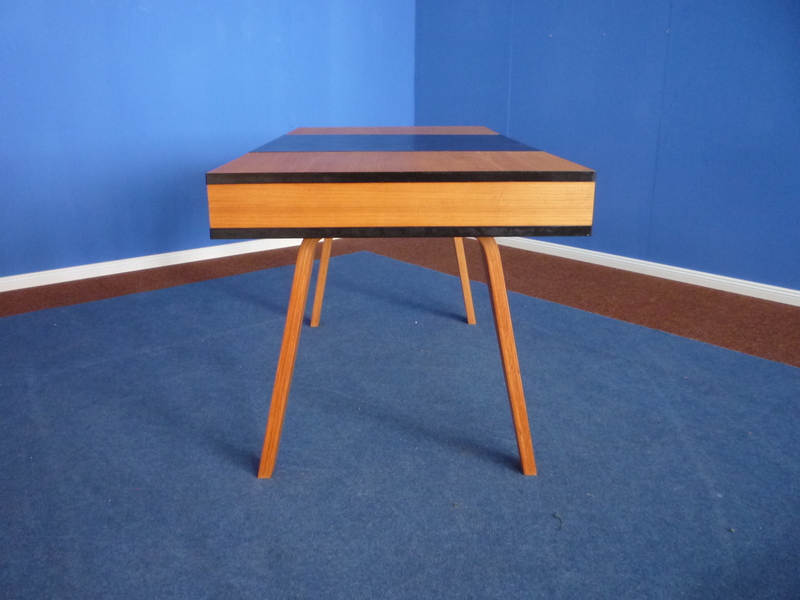 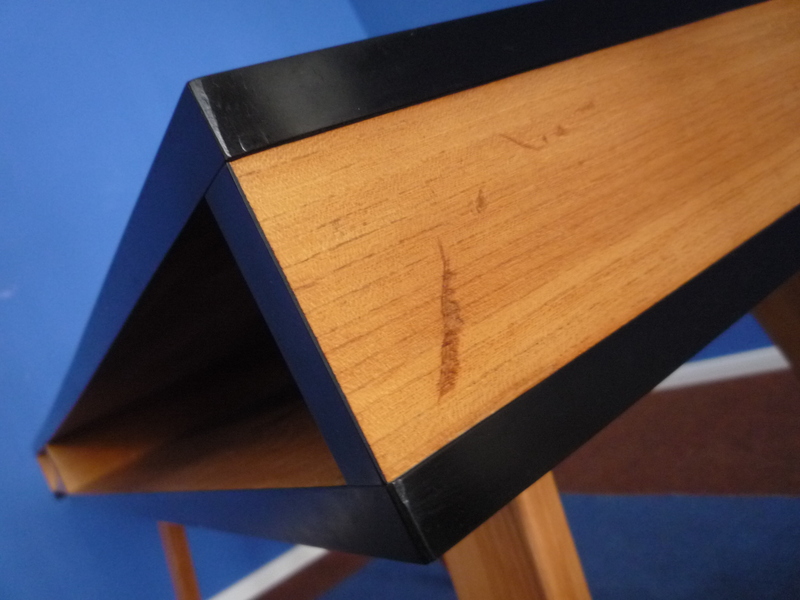 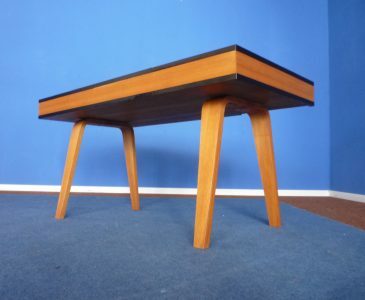 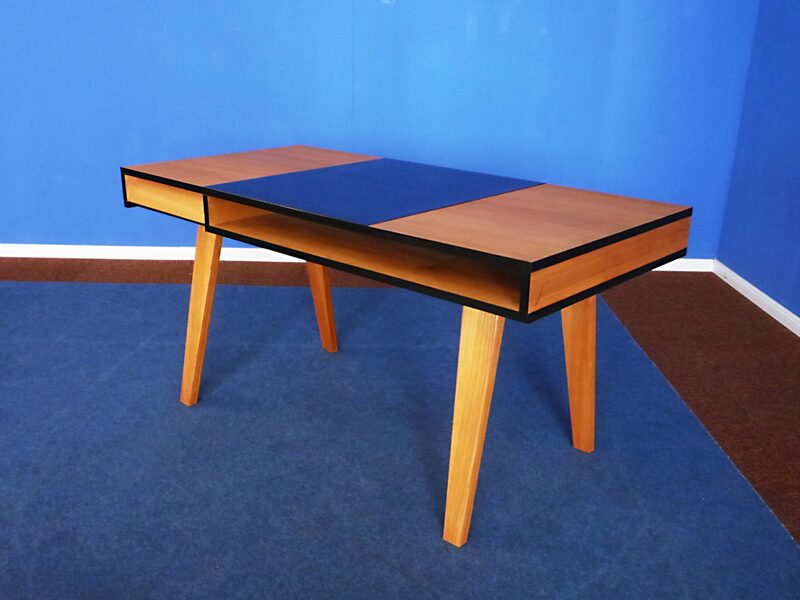 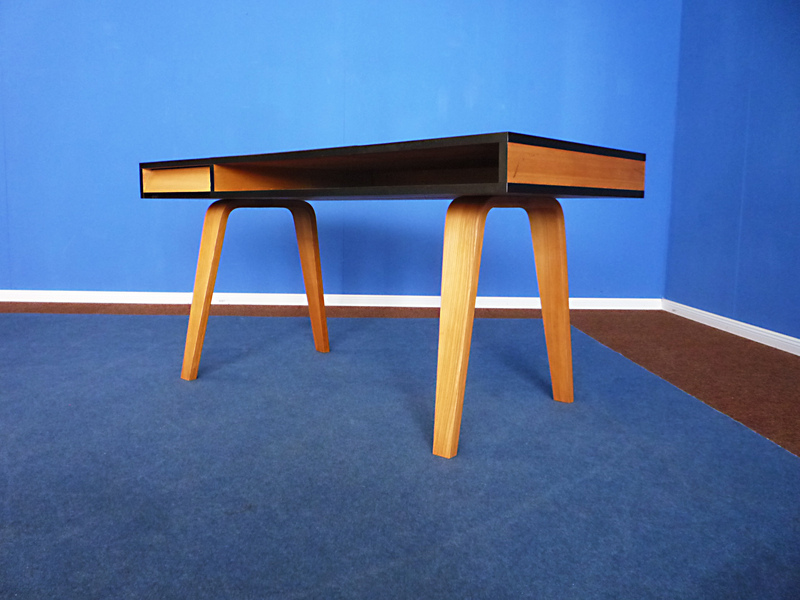 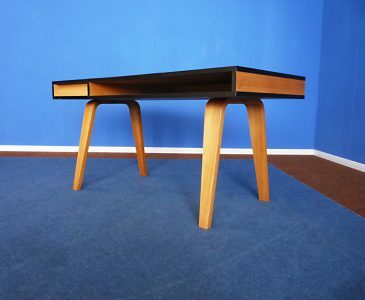 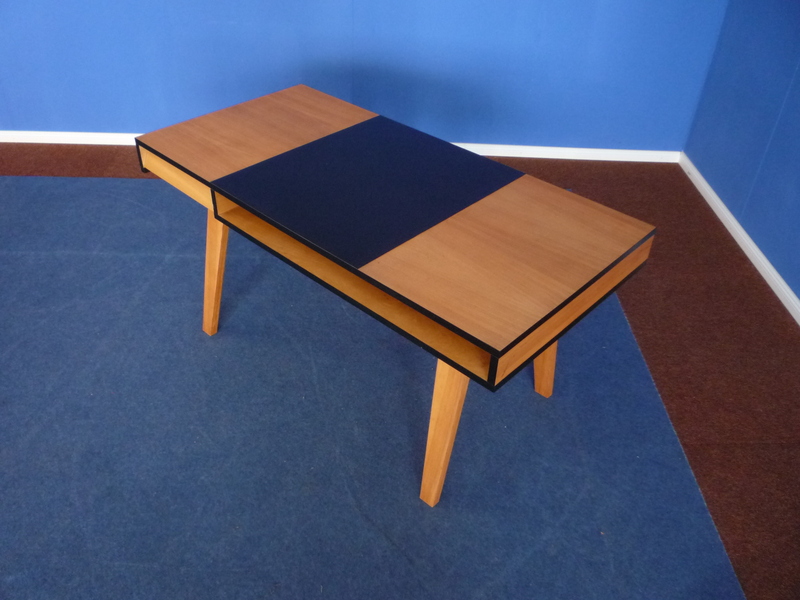 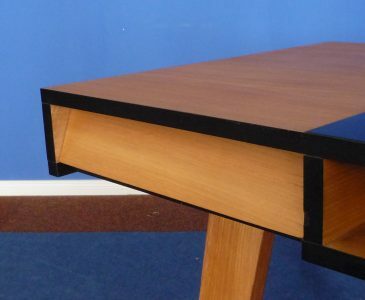 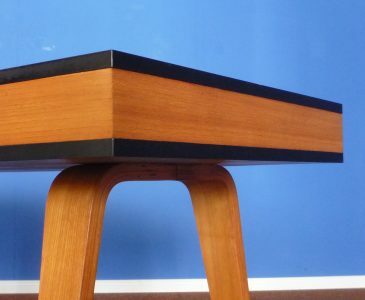 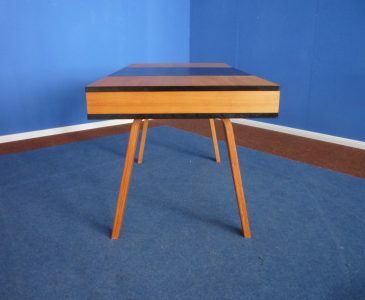 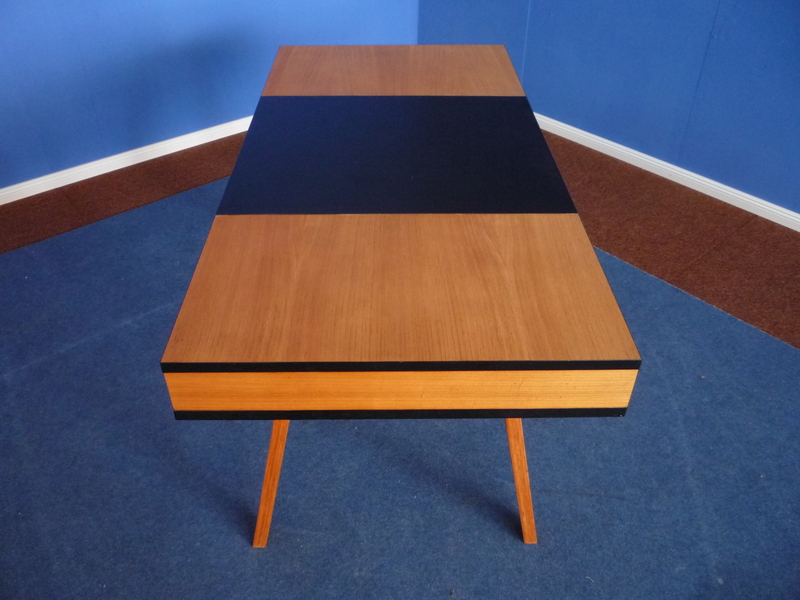 A elmwood desk in the style of Egon Eiermann, on bent plywood feet with a top covered with black laminated plastic. 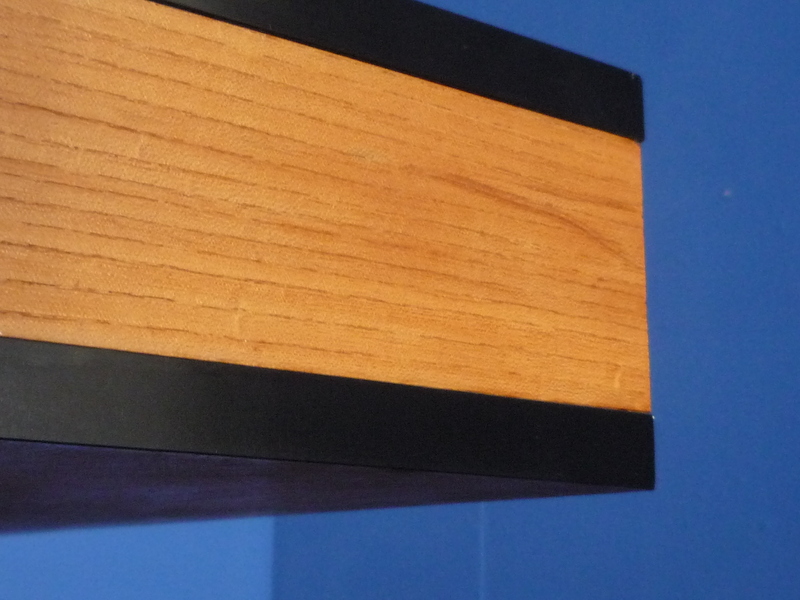 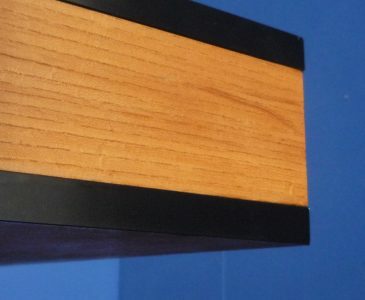 On the front there is a big drawer and the piece can be used as a room divider. 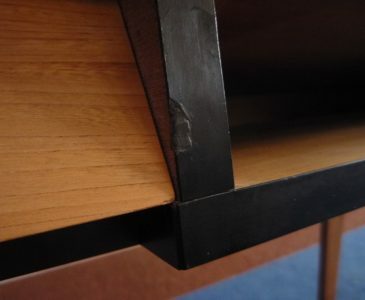 There are smaller traces of use.